WASHINGTON D.C. – New data from the US government shows that federal tax rates recently reached their lowest point in 30 years. On July 10th the US Congressional Budget Office released a report on federal tax liabilities of households in the country, showing that federal taxes for the average American households have recently been at their lowest levels in decades, despite mass protests and public outcry over excessive tax obligations. The report contains information on before-tax incomes of American taxpayers, and compares the data to federal tax rates to model after-tax incomes of Americans across different income levels. 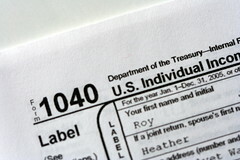 According to the report the federal tax liability for the average household in the USA in 2009 was 17.4 percent of the household’s entire income. The reported rate is the lowest on record since 1979. The highest federal tax rates was 28.9 percent and was paid by households with earnings in the top 1 percent. The lowest federal tax rate was only 1 percent, which was paid by households with incomes in the lowest 20 percent. Tax experts in the USA have said that the decrease in tax obligations was due to a decrease in average incomes over 2009 and 2008, causing many taxpayers to move down a tax bracket. It is estimated that the average household income in 2009 was approximately USD 88 400, but was as high as USD 101 000 in 2007. However, the reduced rates were also attributed to several tax concessions and breaks which were introduced by the government over 2008 and 2009.